As you can see in the screenshot, it adds Jalali year, month, and month days beside the Gregorian ones. (which makes it really useful for me! ;) This version (v1.1) supports all views: Day, Week, Month, Next 4 Days, and Agenda! 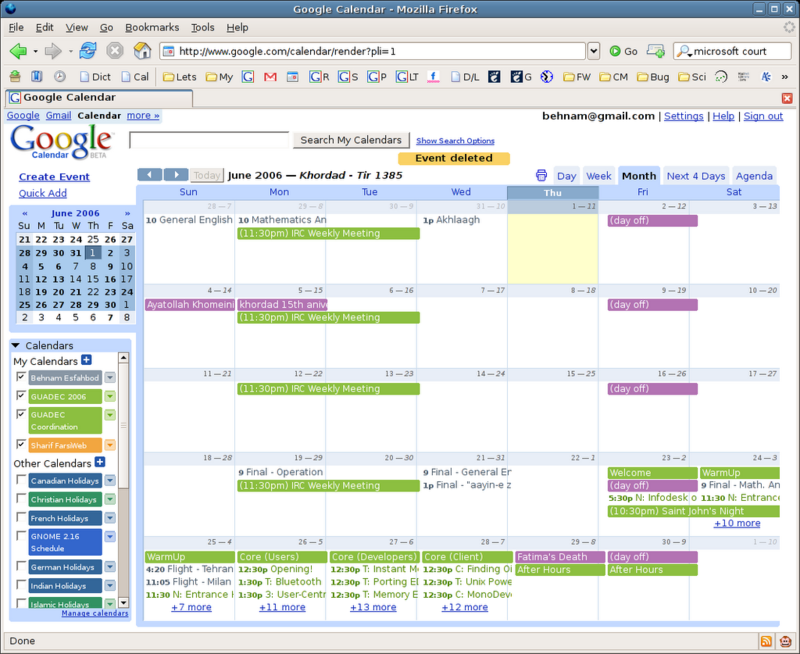 To use it, you should install GreaseMonkey (for Firefox 1.5), then open Jalali GCal user script and install it. 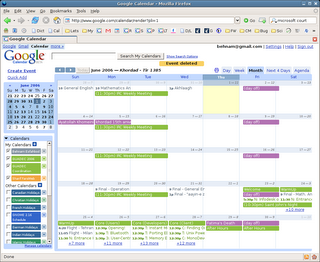 Now refresh Google Calendar page. Of course it's under LGPL license. I hope you like it.